October 24, 2014 (Durham, NC) — DeHaven’s Transfer & Storage is proud to announce the promotion of former Director of Sales and Marketing, Gini Sowards, to the company’s new Executive Vice President. Ms. Sowards will oversee the Sales and Customer Service departments for the company’s five branches across North and South Carolina, as well as quality and national accounts. Additionally, Ms. Sowards will continue to grow DeHaven’s relationship with northAmerican Van Lines (NAVL) and other NAVL agents. As daughter of owner and President, Robert Long, Gini, age 28, has spent much of her life in the moving industry. Throughout high school and college, she worked in various roles at DeHaven’s including packing to sales as well as a vast breadth of positions in-between. 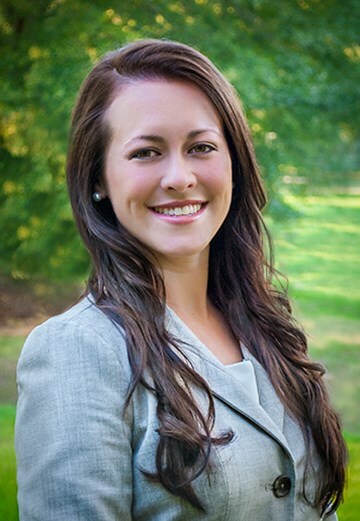 After graduating from the University of North Carolina in Greensboro with a Bachelor’s Degree in Business, Gini spent four years in the non-profit business development sector, before returning to DeHaven’s to become the Director of Sales & Marketing. Focusing her energy in developing new policies and procedures for the sales department over the past year and a half, she has taken the department to a new level. “Gini has proven to be an effective leader, and her passion for the moving industry drives her high-quality work ethic,” said Robert Long, President of Dehaven’s. “Her fresh perspective and creative ideas have been a vital part of DeHaven’s recent structural changes, and I am enthusiastic about where she will direct our organization in her new role”. DeHaven’s has been family owned and operated since 1942, serving as one of the first female owned success stories in the Atlantic states. With a rich heritage of award winning service as a premiere agent for northAmerican Van Lines since 1952 and active service partnership with SIRVA Worldwide, the organization continues to contribute to more than 100,000 corporate, military and consumer relocations each year, one family to another.